Mike Nicholson of the number one Hip Hop Fitness program M. Nicholson Hip Hop Fitness. Mike Nicholson is not only a highly sought after hip-hop fitness instructor and creator of M. Nicholson Hip Hop Fitness, he’s a man who knows something about transformation. This hip-hop B-Boy hailing from Brooklyn, New York, has taken Central Ohio by storm with his high energy, hip, life and body-transforming hip-hop fitness classes, but he wasn’t always the teacher. 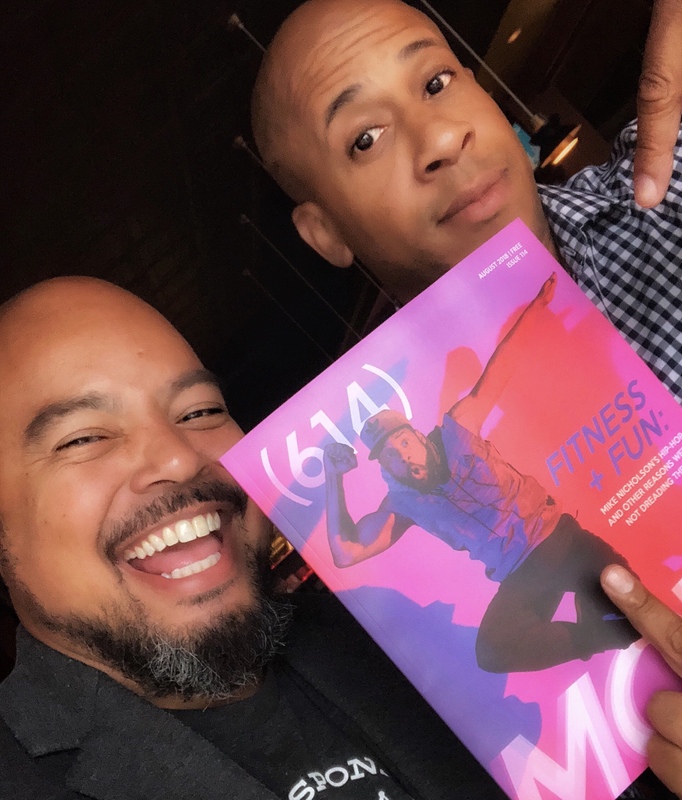 Brothers pick up copy of 614 Magazine with Mike Nicholson of M. Nicholson Hip Hop fitness on the cover. 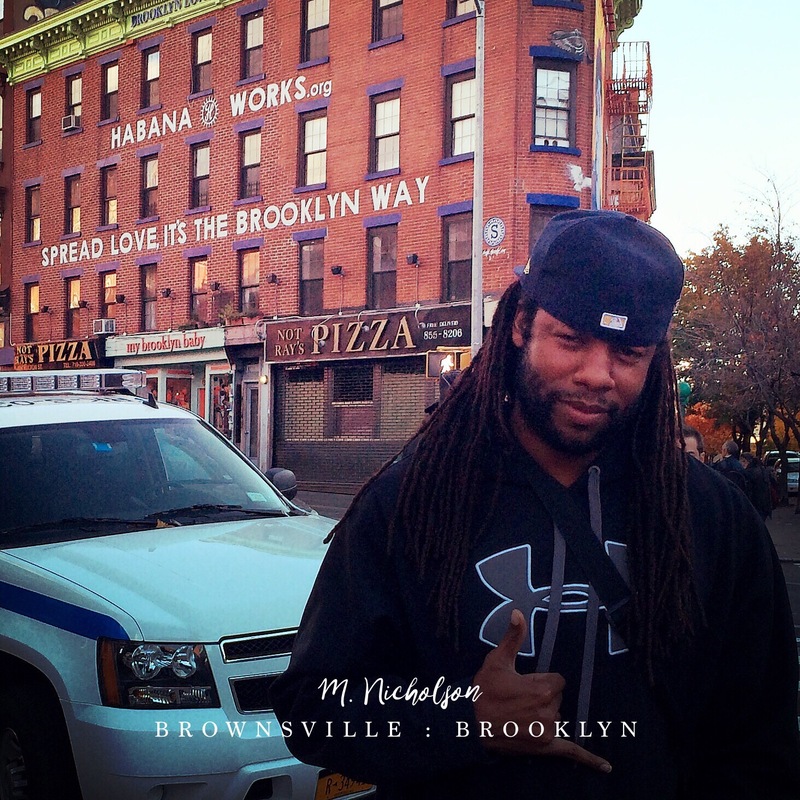 Growing up in a culture that was immersed in hip-hop culture, the mecca of hip-hop, Mike Nicholson has always had a flair for the intricate moves that many have come to know as hip-hop dancing. He didn’t start out as a fitness professional however. After graduating college, Mike started his career as a graphic designer, and the long hours of sitting required by his profession, coupled with periods of inactivity, contributed to Mike’s significant weight gain. It was after a friend saw a picture of a younger, leaner Mike Nicholson inquiring about the identity of the slender young man in the picture, Mike, that he decided to take action and do something about his increasing weight. 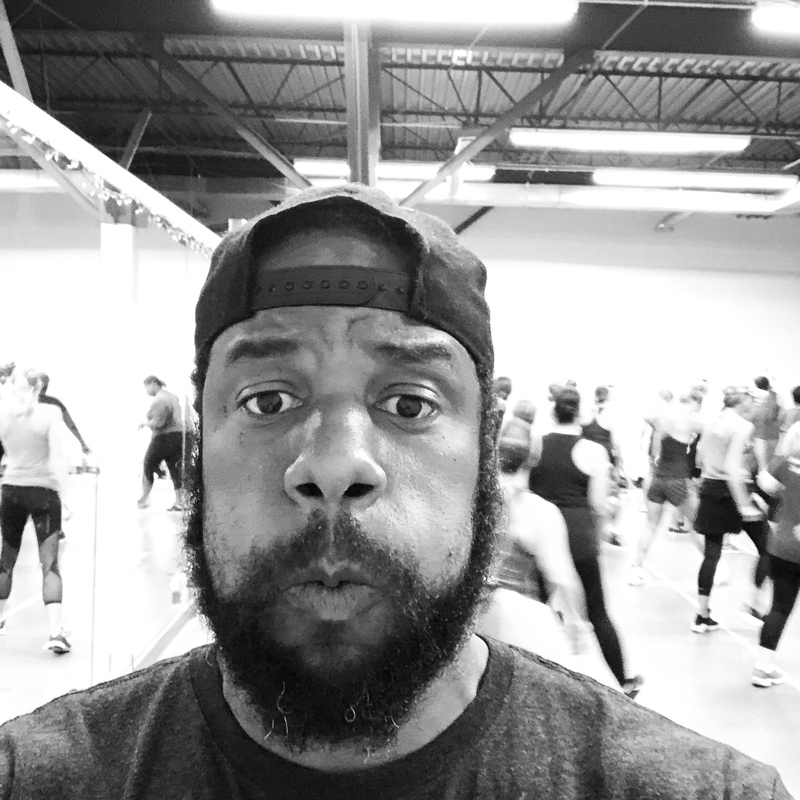 Mike began taking fitness classes, and it was at the urging of his instructor, that Mike became a fitness instructor himself, and M. Nicholson Hip Hop Fitness was born. Mike is truly a fitness inspirational figure who not only transformed his body and life, but transforms the body and lives of countless women and men all across Ohio. Mike Nicholson’s stature may be stealth, but he has a heart for giving, is very humble, and his signature bold moves and energy transcend race, gender, and age.